This cute dog is working hard at the office and she’s loving it. She loves to give the customers their receipt and get her treat for doing a good job. 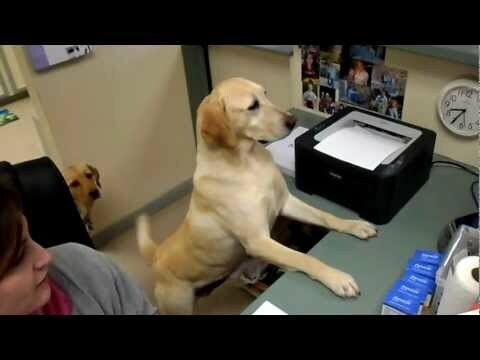 Watch this video of a smart Labrador dog who knows how to take a receipt from the printer and gives it to the customer. The other dog is new at the job but she’s learning.